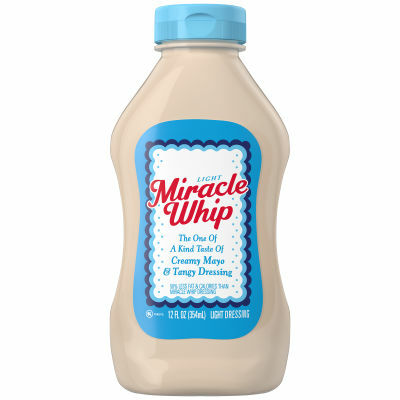 Miracle Whip Light Cholesterol DressingSpread it on your sandwiches to boost the flavor or pump up your boring salad with the unmistakable, low cholesterol tangy zip of our secret blend of spices.Palatable yet PresentableEnjoy delectably amazing and tasteful, creamy thick and uniform in consistency light dressing. Light on your diet, tune your taste buds by adding luscious flavorful dressing either as a topping on fries or mix in salad. Serving size 1 Tbsp (15g).